MiniDest – English - En tu campo, tu industria. - Who We Are? Porta Hnos SA, a company settled in Córdoba, has a well known industrial trajectory of more than 130 years in the production of liquor, alcohol and vinegar. Thanks to our founders’ unchanging entrepreneurial spirit, the company has managed to include more than 500 highly committed people. We have invested years dedicated to the development of engineering and technology for the processes of distillation and fermentation, among others, and we have achieved important goals for our company and third parties, in addition to the elaboration of collaboration agreements with major biotechnology companies in Argentina and the world. 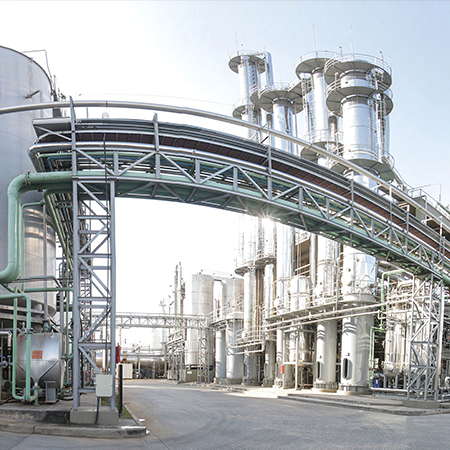 In the search for the highest efficiency for the ethanol production process, we reached our most recent and innovative technological development: MiniDest, which are modular ethanol plants for the integration of agriculture and farming at origin in order to maximize the field’s efficiency. For more information about our company, visit www.portahnos.com.ar.